A stunning nativity set hand carved in Rwanda. Ugandan Nativity Set carved in Rwanda. Each nativity is crafted by hand. 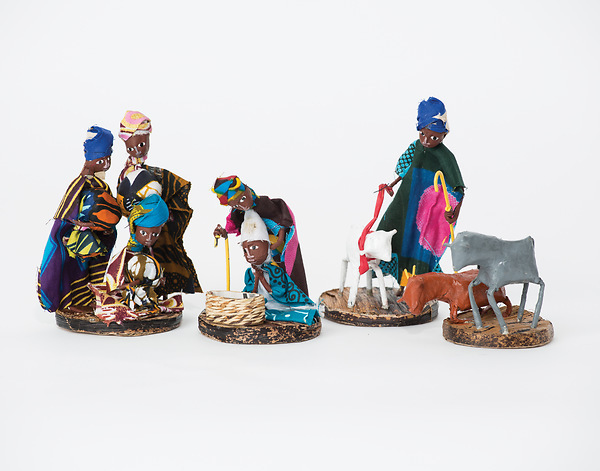 Jacaranda Nativity Set carved in Rwanda. Material: Wood with a Mahogany stain. Nativity set includes 10 pieces: 3 wise men, 2 shepherds, 1 cow, 1 sheep, Mary, Joseph and baby Jesus. Expect slight variations, tallest figure is approximately 5" tall. Height of the tallest piece is 5".